Pacific walruses, who live in the Bering Sea during winter, require floating sea ice to meet their survival needs, using them for rest in between journeys to forage for food, such as clam, snails, and worms, as well as for giving birth and caring for their young. But as the oceans warm, this sea ice is receding, especially near coastal areas, forcing these walruses to take to the beach for resting and foraging, according to an explanation from the NOAA. 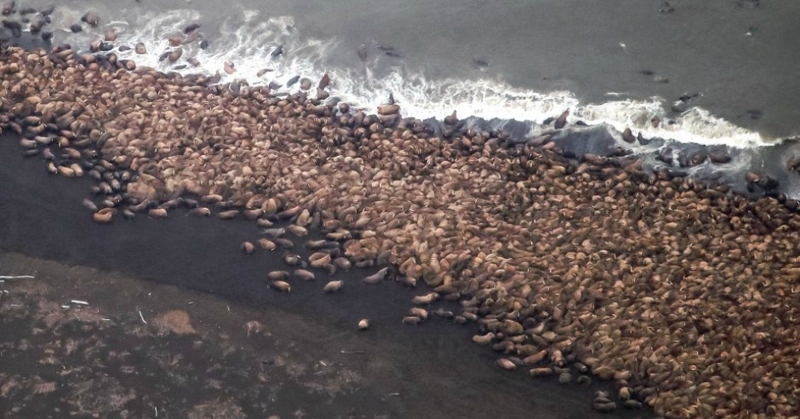 Read more from Common Dreams What 35,000 Walruses Forced to the Beach Tell Us About Global Warming | Common Dreams | Breaking News & Views for the Progressive Community.